Rising health care costs and lack of access to affordable health care for millions of Americans have been a target of health care reform efforts for decades. The passage of the Affordable Care Act (ACA), a.k.a. “Obamacare”, and the recent Supreme Court ruling that it is indeed constitutional addressed the problem on a national level. Vermont’s own plans for its Green Mountain Care universal health care system will not be implemented until 2017, so compliance with the ACA required Vermont to take the interim step of implementing a Healthcare Insurance Exchange by 2014. Vermont is one of several states that decided to set up its own exchange instead of leaving it up to the federal government. In this article I will explain what the Exchange is and what the practical implications are for Vermonters. The ACA requires that starting on January 1, 2014, all individuals must be covered by health insurance, and businesses with 50 or more full-time equivalent employees must offer health insurance coverage to their full-time employees. Federal tax credits are available both for small businesses (less than 50 employees) and for individuals to meet these requirements. Annual out-of-pocket payment of expenses cannot exceed $5,950 for individual coverage and $11,900 for family coverage at all four benefit levels. Insurance premiums will vary by insurance provider, amount of deductibles and co-pays, and benefit level. Households with income from 133% to 400% of the federal poverty level (FPL) will be eligible for subsidized premiums. Households with incomes less than 133% FPL will be covered by Medicaid. The federal poverty level (FPL) varies with household size: for an individual it is an Adjusted Gross Income (AGI) of $11,496; for a household of 2, $15,516; for a household of 4, $23,556; and so on. 133% is 1.33 times those amounts and 400% is 4 times those amounts. So, a family of 4 with household income between $30,657 and $92,220 will be eligible for premium assistance. The premium subsidy (paid directly to the insurance provider on behalf of the buyer) will vary with income level and for 2014 will be based on the 2012 tax return that is due on April 15th of this year. Adjustments for changes in a household’s financial circumstances can be made on a monthly basis. The penalty for not carrying health insurance will be assessed on tax returns starting in 2014 and increasing each year through 2016. For 2014 the penalty is the larger of 1% of household income or $95 per individual household member without coverage up to a maximum of $285. Vermont’s implementation of the Health Insurance Exchange is called “Vermont Health Connect”. 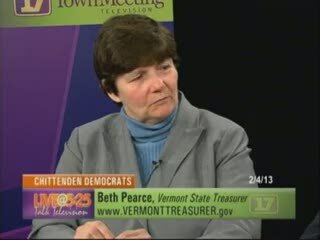 Vermonters will be able to enroll in one of several plans offered through the Exchange starting on October 1, 2013. More detailed information on Vermont Health Connect can be found at http://hcr.vermont.gov/timeline/exchange.